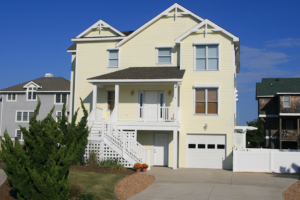 We purchased our beach house in 2003 and then hired Sandmark Custom Homes in 2008 to build an addition including a master suite, family room, elevator and swimming pool as well as renovating most of the existing rooms, kitchen, and baths. We wanted to work with someone we could trust to do a great job since we live in Pennsylvania and could not be there on a regular basis to monitor the progress and quality of workmanship. We were thrilled at their level of trustworthiness and expertise in completing the project in a timely fashion. We have since hired them in 2013 for another small addition of a storage room enclosure and received the same top level of treatment. We have no reservations about turning the key over to Mark and Sandy and letting them do what they do best. Provide a great value with no stress.